In order to ship legally from Nepal there are several steps to be taken. 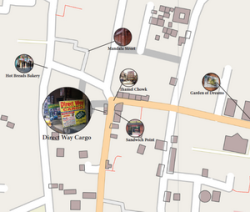 We at Direct Way Cargo Nepal take care of it all for you, and it’s included in our service. Export & Import documents will be prepared as per the Government rules and need of destination country. Please see our list of banned and safe items to send from Nepal. Form A (Generalized system of preference GSP), Country of origin, visa- documents, Exports Licenses Packing List perform invoice and necessary documents will be prepared as per the exporting ,importing country rules and regulation. We will be dealing with the various activities such as handling, project cargo, warehousing, Documentation, Cargo insurance, Custom Clearance with cost-effective and efficiently. For Air Freight, Ocean Freight, Custom Brokerage, warehousing, packing, pickup, distribution and very much take care for sensitive perishable goods. The following documents are required for Exporting to third country by air. For the export by only a registered firm or company. Certificate from Department of Archaeology for the export of status, Thankas, Wood carving of archaeological value etc. CITES Certificate from department of National Parks and Wild Life Conservation for the export of bone and horn products. Certification on invoice from the Handicrafts Association of Nepal for handicrafts goods and silver products. Multiple countries Declaration for garment export to the USA. Transit declaration invoice for goods in transit via India/Bangladesh to third country destination. For Import, we advise to our clients required documents for clearance, cost minimizing and to the purpose to attempt prompt delivery.